Alecia is 15 and doesn’t want to get a job. Thankfully, she can always help out at her grandpa Dan’s Asian imports store to make some extra cash. Alecia is a likeable character. She’s up front about what she’s thinking and what she’s doing. Her faults, like jumping into things without thinking, make her a more interesting character. The plot and the writing style were easy and simple. This book was a fun and short adventure with a diverse cast that included non-humans. 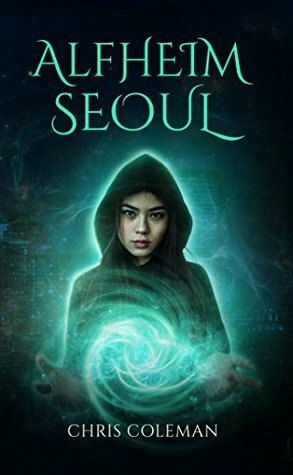 I liked that the main character and those that surrounded her were Korean and there were subtle hints at her diversity and uniqueness that blended into the story and the character. I love that this story is set in Seattle! I loved the use of the portal between Alfheim and Seattle and thought every interaction with Iveragh brilliant in relaying backstory and showing us who Alecia was and what Alecia was like. Alecia is 15 and the story is marketed for young adults, but I thought the writing style and simpler plot were written for a younger, more middle grade audience. This novel was published by Amazon Digital Services LLC on 06/12/2018 and is available on Amazon here.